Edited 1 time(s). Last edit at 2018-08-01 06:42 by schillid. I'd just ordered it , it look great ! This looks like a very nice box set. Good man! (Saved to 'My Library'). I like the layout and composition. Edited 1 time(s). Last edit at 2018-07-31 22:24 by schillid. My favorite art card is "Commit a Crime"..
Love the details.. skulls etc. Looking forward to the release and it’s pleasing to see that a percentage of the sales will go to charity, I believe the Willie Dixon Foundation. I’d personally like to see the charitable share spread on a more local basis. After all charity begins at home, I’m in England and the Stones are an English band. I respect the work of the Willie Dixon Foundation and it’s based at 2120 South Michigan Avenue but I’m sure there are other deserving causes throughout the music world that could benefit. 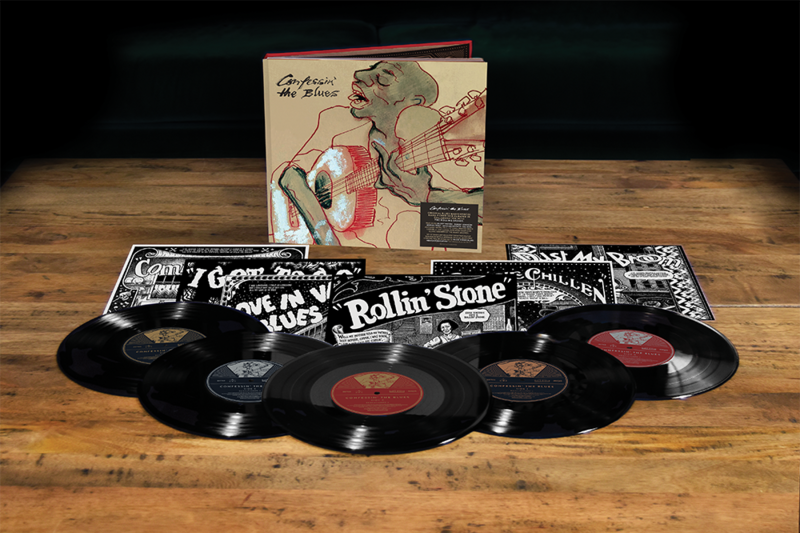 What a great collection of blues tunes. Regarding the art cards, very nice. They remind me of the "heroes Of The Blues" and other musical genre cards done by R Crumb, the artist who gave us Mister Natural, Fritz The Cat and many other what were then considered counter-culture works. I was asked recently to create six art prints to accompany an upcoming blues compilation curated by non other but The Rolling Stones! Each print illustrates a classic Blues song, which gave me the chance to combine my love for the music with my love for the period and its design, look, and feel. And due to my obsession with vintage fountain pens, even my drawing tools were period-accurate. This project has been a great joy to work on and I am looking forward to its release in November! 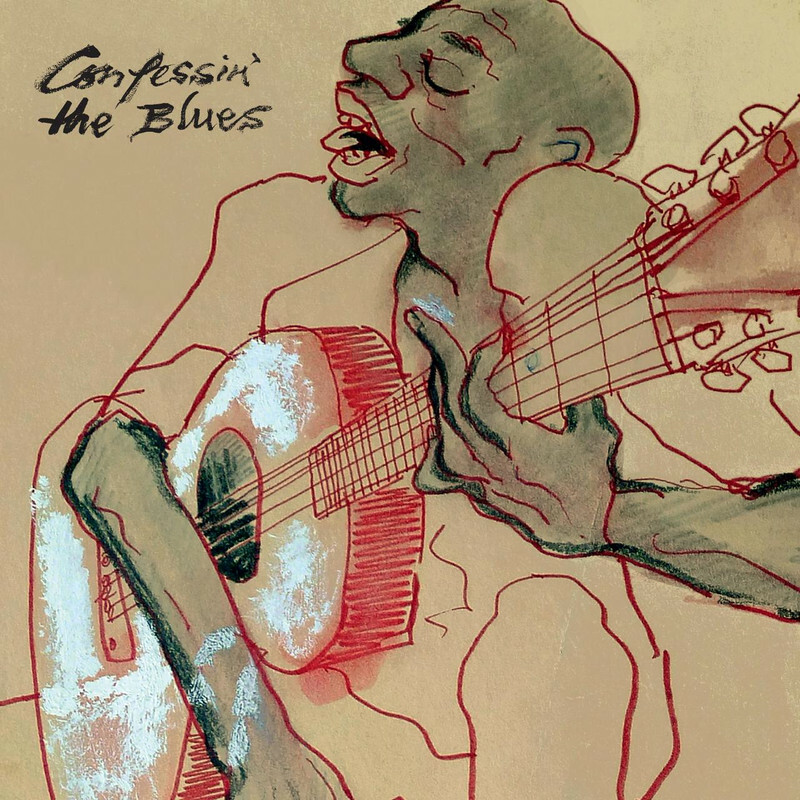 The art cards are part of the “Confessin’ The Blues” 5×10” Vinyl bookpack and can pre-ordered now. 10% of BMG’s net receipts from the sale of this album will be donated to Willie Dixon’s Blues Heaven Foundation. This looks cool, but the Buddy Guy song from 1991 is completely out of place with the years the other tracks are all from. Wonder why they didn’t use one of Buddy’s great recordings from the same era vs one from his 90s resurgence. Well as a blues collector I already have all those songs on complete albums. So this is like buying a mixed tape I could make myself. I feel the same as you... and will probably buy it. Yes tempting as the vinyl and inner artwork cards are very nice ....but will have to pass on the large vinyl bookpack. Nice of them to break it down to vol. I &II 2LP versions, and also the 2 CD version, but still will have to to pass. As for the charity aspect, nice of them to donate 10%, but wondering what percentage the Stones themselves will pocket. Lots of positives for the band on this offering. From honoring some of their mentors and heroes, to donating proceeds to a very worthwhile cause. Good on 'em. And it's not just their fans who will support the good cause, even some of their most devout critics are posting direct links to the charitable organization that they wouldn't even be aware of without the band. Win Win... Nice. Don't be so quick with your snide assumption MisterDDDD - I've donated to this foundation for years, and so should you! Having seen Willie live in the '80s in small club in L.A., and having visited the Blues Foundation in Chicago which is at the former Chess studios. Without the blues, there would be no Stones. God bless Willie Dixon. Edited 1 time(s). Last edit at 2018-08-03 19:16 by Hairball. Don't be so quick to take it so personal. For most, but you do you. Well when you say "some of their most devout critics are posting direct links" how else am I supposed to respond? I did say it was nice of them to donate 10% to the cause (maybe you missed that part? ), but am also wondering how much they'll pocket while they're at it. If you consider that rude and/or whining, I guess you can't be helped and there's no point in discussing it with you further. Be sure to donate to the cause, even if you have to fill the Stones pockets while you're at it - it's a great cause. Perhaps I'm being a bit thick, but why would the Stones pocket any dosh from this project? As far as I can see only Ronnie would expect (but he may waive) any income...due to his art work.